Located in Central California, an area with no shortage of world-class golf clubs, the Yocha Dehe Golf Club's spectacular grounds and greens could nevertheless be lost in the shuffle without incorporating elements to set it apart. 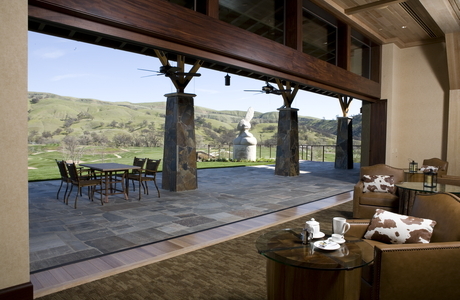 For the design of its clubhouse, the owners – Cache Creek Casino Resort – prevailed upon Williams + Paddon Architects + Planners, Inc., to deliver a sustainable space that would complement the natural environment, enhance the golf experience, and attract events of various types and sizes. 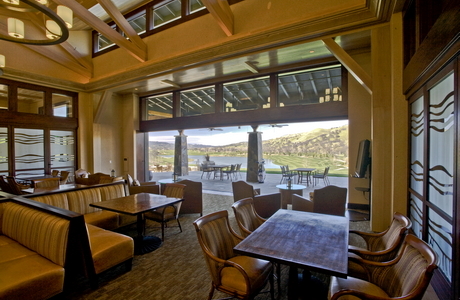 “The Yocha Dehe Golf Club was designed with one main program element in mind," says Robert Wallis, AIA, who designed the facility for Williams + Paddon: "A flexible floor plan able to host multiple events in conjunction with the day to day operations as well as hosting large events that fully utilized the golf club’s facilities." 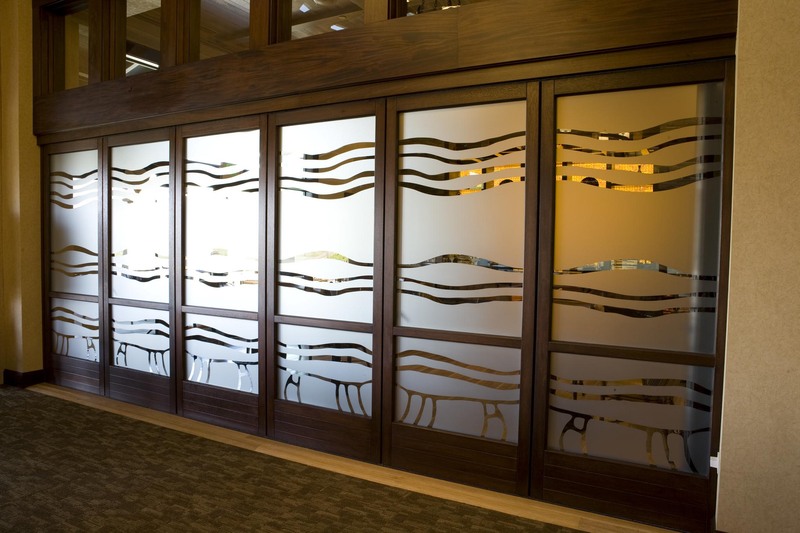 In order to meet these requirements while achieving the desired aesthetics, the design team specified one of NanaWall's customizable systems for the clubhouse walls facing the course. The decision also supported the client's goals for environmental stewardship and reasonable operating costs, by adding a sustainable element that helps conserve energy while introducing plentiful natural daylighting throughout the above-grade space. "The NanaWall was key to creating flexibility while meeting our aesthetic sensibilities." NanaWall's HSW66 Wood Framed Single Track Sliding System provided a handsome and versatile solution for Yocha Dehe's richly appointed meeting space, and the addition of a stacking pocket for the 31 custom-sized panels creates a seamless transition from the club lounge area to the patio. 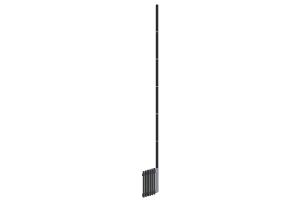 Providing the flexibility required for the programmatic goals and enormous aesthetic benefits, it is a certainty that NanaWall's single track sliding system contributed to the selection of Yocha Dehe's clubhouse as a finalist for Golf Inc.'s 2009 Clubhouse of the Year. The clubhouse also received LEED Silver Certification, often difficult to achieve in small projects with enormous glass spans. 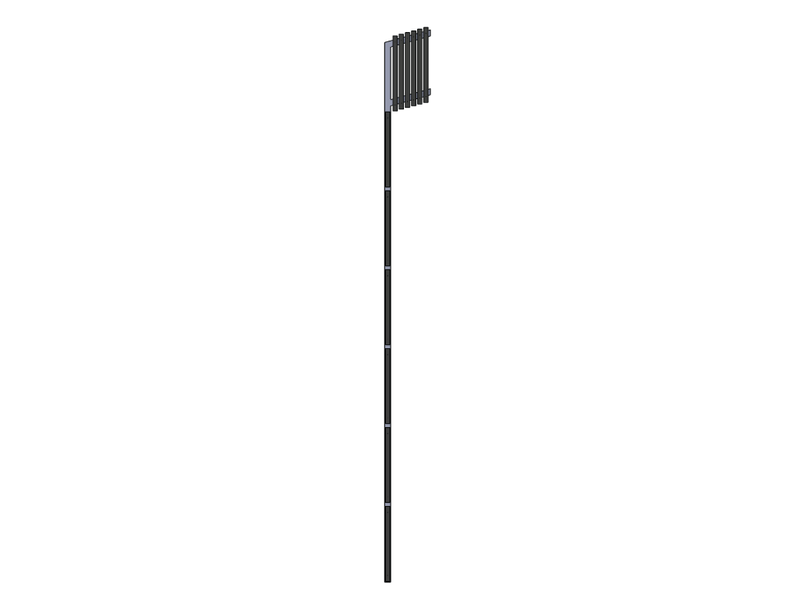 NanaWall systems are engineered to meet exacting performance standards, often helping to contribute to sustainability and green-building benchmarks. When fully open, the 31 sliding panels disappear into NanaWall's proprietary parking bays, eradicating the division between indoors and out. When closed, the view of the golf course and surrounding hills remains panoramic and nearly unobstructed. 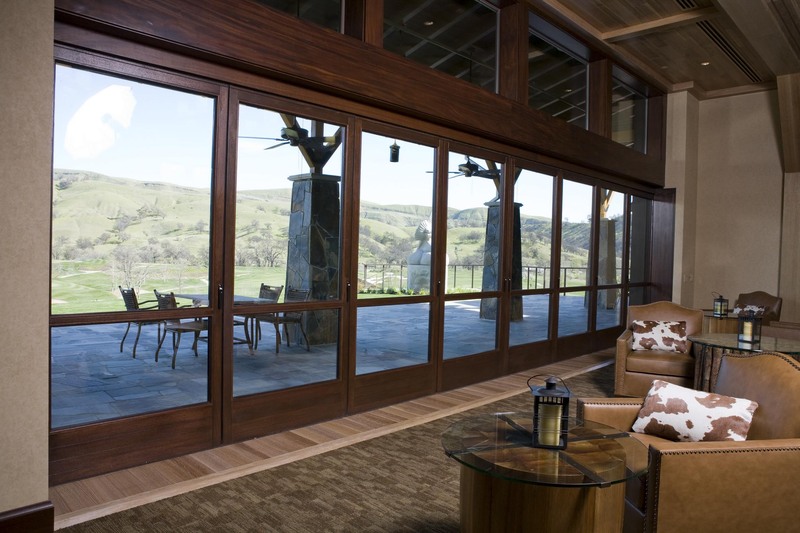 The system incorporated a custom glazing requested by the owners, attenuating noise levels and providing a buffer between scheduled gatherings and casual patrons. 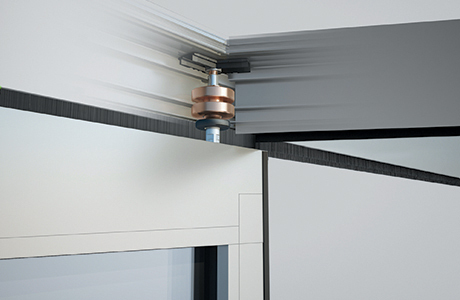 "The NanaWall was key to creating flexibility while meeting our aesthetic sensibilities," continues Wallis. "In addition, it enabled us to seamlessly connect the exterior spaces to the interior, as well as adapting the public and private dining rooms, bars and exterior event terraces. 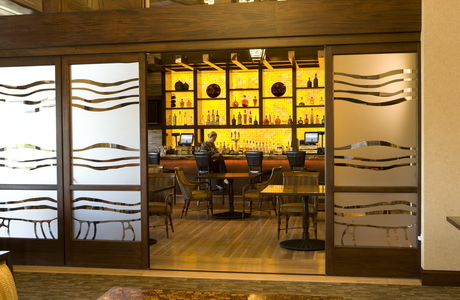 The clubhouse has been providing the club’s guests with a memorable experience." The owners are particularly pleased with the aesthetic contribution. Open or closed, the facility enjoys spectacular panoramic views of the entire golf course. When closed, the sumptuous wood framing contributes to the overall impact of the space, which projects natural beauty, exclusivity and luxury.